The Henriette H classic! The lover pantie, frilly and sligthly vintage. This creation reveals a cheeky love story with creativity! 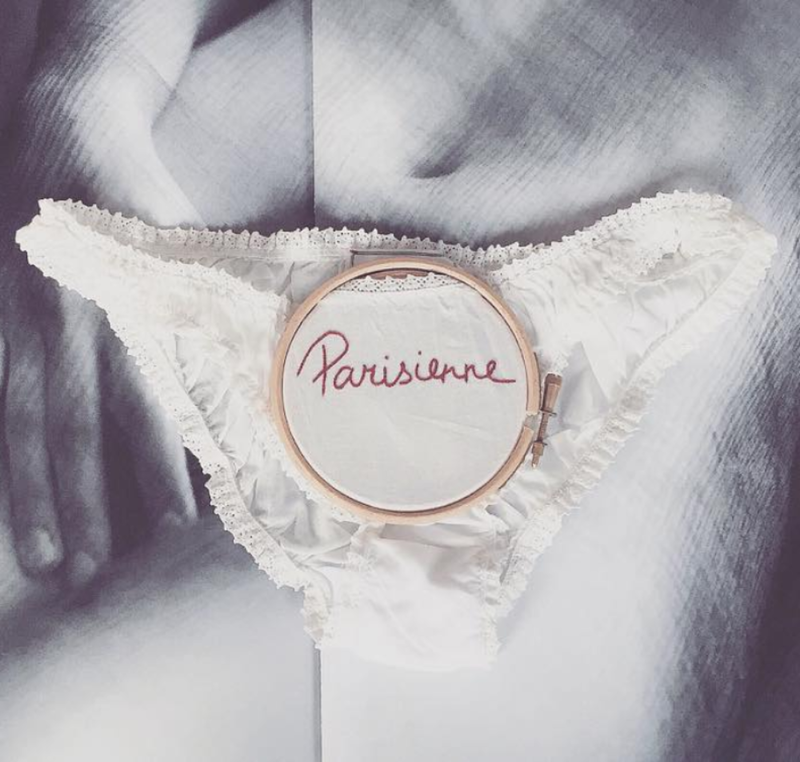 "Parisienne" embroidery on the back comes from the designer's handwriting. Elaborated with care in Henriette H small Parisian workshop.